The Justice Department unveiled an indictment against two companies based in China and Taiwan and three individuals on Thursday, saying they conspired to steal trade secrets from semiconductor company Micron relating to its research and development of memory storage device products. The charges against Taiwan-based United Microelectronics Corp, China state-owned Fujian Jinhua Integrated Circuit, Co., Ltd. and three individuals, mark the fourth case brought by the Justice Department since September as part of a broader crackdown against alleged Chinese espionage on U.S. companies. 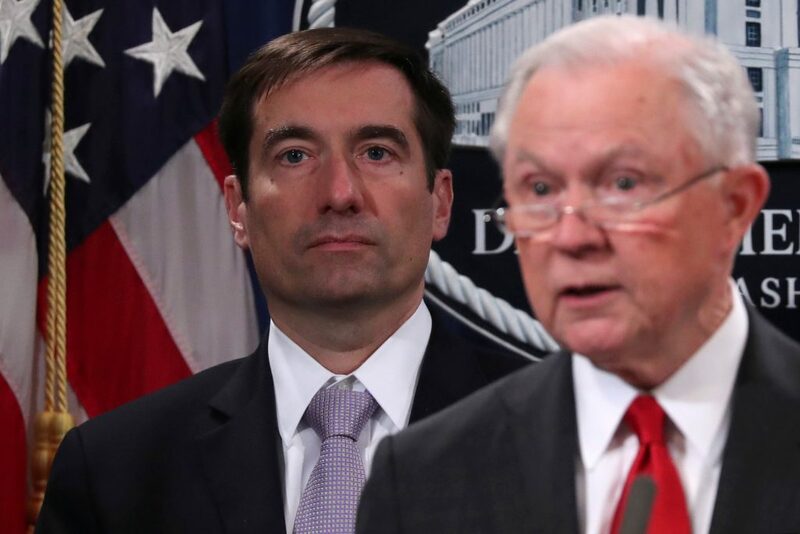 Attorney General Jeff Sessions told a news conference that Chinese espionage has been “increasing rapidly,” and added that “cheating must stop.” He said the government is launching a new initiative to crack down on Chinese espionage trade cases. In addition to the criminal case, the Justice Department also filed a civil lawsuit seeking to enjoin the two companies from exporting any products created using the trade secrets and blocking the further transfer of trade secrets. In late September, prosecutors charged Ji Chaoqun, a Chinese national living in Chicago, with acting as an illegal agent by working at the direction of a high-level intelligence officer with the Ministry of State Security to help recruit spies. The Justice Department also in October for the first time succeeded in extraditing a Chinese intelligence officer, Yanjun Xu, to the United States to stand trial for conspiring and attempting to commit economic espionage and steal trade secrets from multiple U.S. aviation and aerospace companies, including GE Aviation, a unit of General Electric. Earlier this week, prosecutors announced an indictment against 10 defendants, including two Chinese intelligence officers and other computer hackers and co-conspirators who are all accused of breaking into American company computers to steal data on a turbo fan engine used in commercial jetliners.